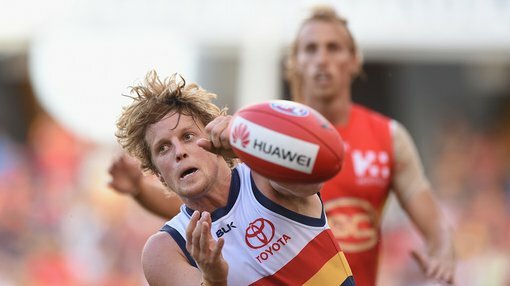 In the latest win for Impression Healthcare’s (ASX:IHL) wholly owned subsidiary Gameday International, the company today announced its newest ambassador – Adelaide Football Club midfielder Rory Sloane, who made his AFL debut in 2009 and has won numerous industry awards in his career to date. Sloane will promote Gameday mouthguards through his professional profile and social media channels, providing greater exposure and product awareness to AFL fans. He will also promote the Gameday Challenge, a grassroots activity camp for children held during school holidays. In his role as ambassador he joins fellow AFL players Gary Ablett Junior, Moana Hope and Katlyn Ashmore and professional rugby league player Matt Ballin in promoting the products as well as a broader campaign to encourage youth participation in sport. Under the three-year contract, Sloane will have his own range of mouthguard designs including a limited edition range, similar to the deal signed by Ablett in December. As part of the deal Sloane will be issued 270,270 shares in the company. “I’m excited to encourage more kids to become involved with the sport and it’s great that Gameday gives me a platform to do this,” Mr Sloane said. “Having played professional AFL for many years, I speak from personal experience when I say it’s important to have the right protective gear that is comfortable and effective. The appointment of Sloane as ambassador coincides with a range of marketing initiatives the company will implement ahead of the 2017 sporting season, with the hope of driving sales revenue in 2017. Although, it should be noted that broker projections and price targets are only estimates and may not be met. Also, historical data in terms of earnings performance and/or share trading patterns should not be used as the basis for an investment as they may or may not be replicated. Those considering this stock should seek independent financial advice.